The world is awash with examples of inter-continental agricultural meddling, whereby opportunistically minded entrepreneurs and traders have transplanted plant species in the pursuit of profit and convenience, sustenance and sales. Think of the rubber trees, tobacco and tea migrations of recent European empire, or examples such as oranges and lemons, which the Moors brought from Africa as they expanded their influence north across the Mediterranean. Elsewhere, chilli plants, potatoes, any number of spices and much else besides add to this number. The list of plants that mankind has uprooted and successfully established elsewhere is long. 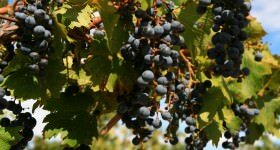 Of course vines are no different, with thirsty European immigrants taking them to almost every feasible corner of the world where they might successfully adapt and produce decent grapes for wine. But where the results have perhaps been most interesting is when a supporting act or less widely embraced variety in its home territory of Europe has established itself as a new classic, adapting to its new home with gusto and flourish, producing inimitable wine styles that are unlike those from anywhere else in the world. Vino Argentina; photo by Jesús Dehesa. The high quality Semillons and Rieslings of Australia, Carmeneres of Chile and Chenins of South Africa all fit the bill, making wines that are allied to their ‘Old Country’ forebears, but with a memorably distinct twist in character that is all their own. 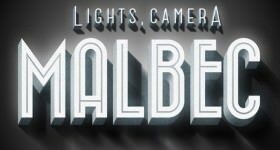 Malbec is Argentina’s formidable entry into this New World version of a vinous talent show, its turn on the stage all the more notable because it has taken the world by storm. 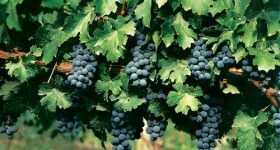 Originally a sort of punchy (though much respected) blending component in Bordeaux, along with some modest notoriety as the producer of the big, dense ‘black wines’ of more southerly Cahors, Malbec was just one of many of a wave of ‘new’ vines brought over to Argentina in the mid-1800s. 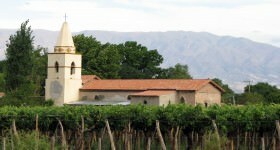 French agronomist Michel Aimé Pouget had been hired by the then Argentine President Domingo Faustino Sarmiento to revamp the fledgling wine industry in Mendoza. 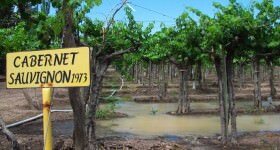 And, as Bordeaux’s Malbec took a hammering from the devastating phylloxera plague across Europe (from which plantings never really recovered), the new combination of altitude and ample sun in Argentina transformed its fortunes. So much so that Argentine Malbec has returned to conquer, enjoying huge levels of recognition among wine drinkers around the globe. 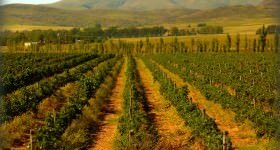 The date on which President Domingo’s proposals to develop the wine industry were officially delivered has since been named ‘Malbec World Day’ both in honour of this fortuitous import and in recognition of its global reach. A high-altitude Malbec vineyard in Mendoza, Argentina; photo by James Kibbey. 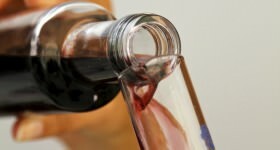 The most intriguing question, though, is why Malbec has found such ready success, becoming the de facto calling card for Argentine wines in a way that few southern Hemisphere varieties – excepting perhaps New Zealand’s Sauvignon Blanc – have managed. It’s become a ‘must list’, from the UK’s gastro-pubs to the steakhouses of the USA, with its ready, often punchy and flavoursome appeal also fast winning converts from Stockholm to Shanghai and most countries in between. 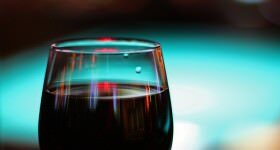 Those producers of Semillon, Riesling, Carmenere and Chenin are all making fantastic wines, but most look on with envy at what Malbec from Argentina has achieved in terms of popular recognition. 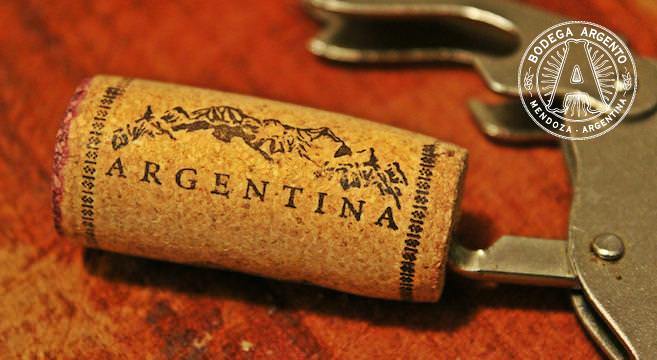 Certainly it helps that Argentina has plenty of Malbec, from across Mendoza’s quite distinct sub-regions, but also from a host of other wine producing areas such as rambling La Rioja, Cafayate in the extreme Andean north and Patagonia down towards the pole. 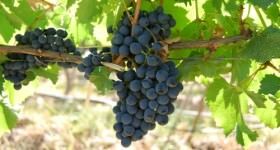 This variety is important, but it is Malbec’s food-flexibility and immediate appeal that have initially driven such popularity. 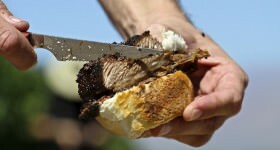 Inky and concentrated, sometimes violet scented, always packed with a medley of berryish fruit and hints of spiciness, Malbec spans a host of needs from quaffable everyday wine to quite serious, complex examples, taking in robust, simple cooking to more sophisticated, typically meat-based cuisine. The world-famous Malbec grape; photo by James Kibbey. 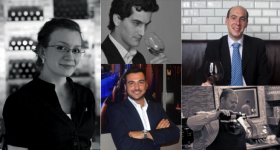 Much of this is down to the winemakers, who have taken the variety in hand and – through long experience with their vineyards – come to understand the myriad possibilities. Thus the lower, warmer vineyards of Mendoza tend to produce styles that lean towards more immediate, red-fruit flushed styles, while the higher altitudes produce inkier, more scented, darker, tightly structured wines, with something for everyone in between. 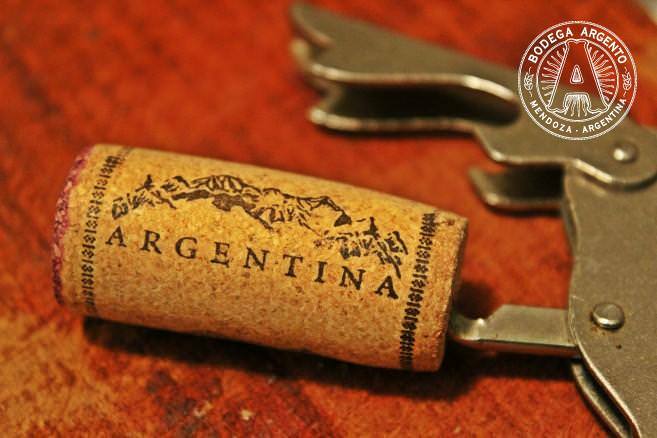 Add in a splash of the noble Bordeaux grape Cabernet Sauvignon, and the wines can reach great heights while remaining distinctly Argentine. So successful has Argentine Malbec been that the vignerons of Cahors now promote the variety when they show their wines, while rival Chile and other southern hemisphere producers have been introducing the variety. 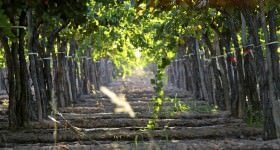 Bordeaux producers and consultants, too, have long been in on the act, with joint projects and wines reflecting the affinity between modern Argentinian Malbec and its ancestral home. 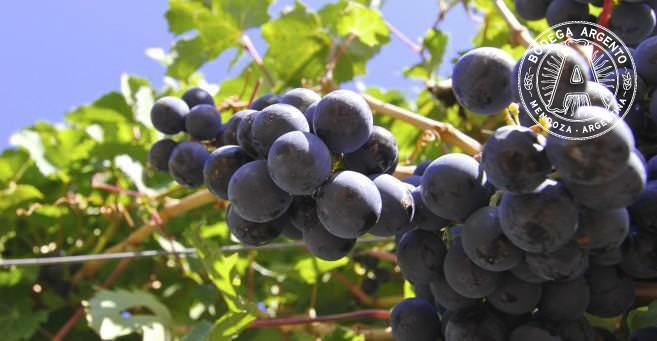 The upshot is one of the most successful introductions of a grape variety from Old World to a new home ever known. 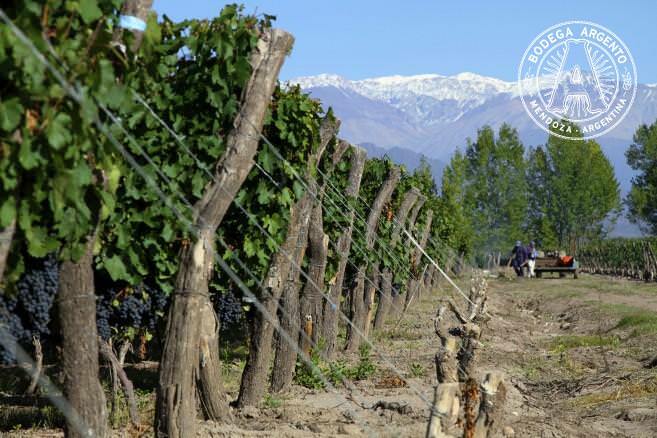 And, with the innovation and experimentation continuing in the vineyards and wineries of Argentina, Malbec’s march around the world looks unstoppable. Michel Aimé Pouget would doubtless be amazed by the global sensation that he unknowingly sparked.